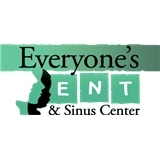 Everyone's ENT & Sinus Center (San Antonio) - Book Appointment Online! Located in the Stone Oak area Everyone's ENT & Sinus Center is proud to extend our services to the greater San Antonio, Texas area. Otolaryngologist Dr. Christine Gilliam specializes in upper respiratory disorders involving the sinus and nasal passageways as well as treatment for allergies. We are proud to be one of the first ear, nose and throat offices in San Antonio to offer Balloon Sinuplasty for the treatment of sinusitis (acute and chronic sinus infection). Everyone's ENT & Sinus Center is committed to providing cutting-edge treatment to both adults and children in a comfortable setting where you are our priority. We hope that our website allows you to get to know us better, and learn more about all of the services we provide. She’s a great Dr. and is very thorough and friendly. Listens and answers all problems and concerns.